Canada's economy remains vulnerable to global risks, Finance Minister Jim Flaherty warned today. Canada’s economy remains vulnerable to global risks, Finance Minister Jim Flaherty warned today. While boasting that Canada has done the best among the G7 countries in terms of job creation, Flaherty told the St. John’s Board of Trade that "the global economy remains frustratingly fragile." "For example, growth in a number of emerging-market economies is slowing, and concerns are growing about the capacity of the U.S. to balance the necessary fiscal consolidation while sustaining economic growth," he said. Flaherty focused on Europe's debt crisis as the most immediate challenge. "High debt levels in some countries mean new fiscal stimulus could be counterproductive." "In addition," he said, "monetary policy rates are near zero in many countries, raising doubts about the ability to further lower interest rates and stimulate lending, including unconventional measures." 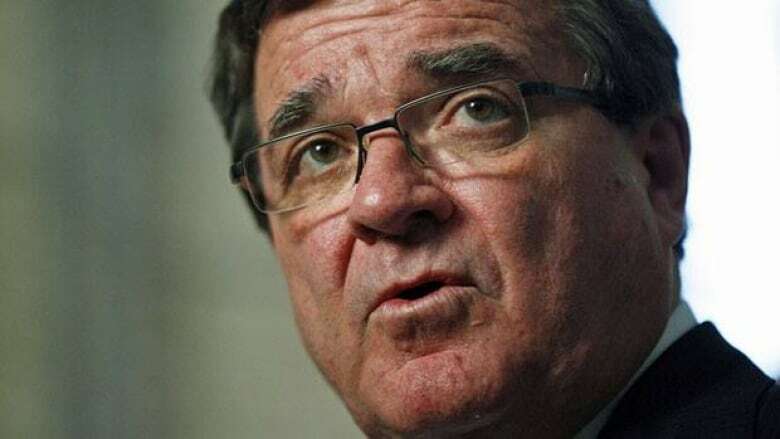 Flaherty's comments came on a day when the Canadian dollar touched a 14-month high, edging closer to $1.03 US, as the U.S. greenback fell on expectations the U.S. Federal Reserve will launch another round of stimulus to help the American economy. "Any potential offshore setbacks could generate serious adverse impacts on Canada." He called on the private sector to create jobs. "While Canada may have its challenges, we will overcome them if all partners in the economy, in both the private and public sectors, take the actions needed to create jobs, growth and long-term prosperity."